All the hype of the 'Six Sigma' certification does not ensure the Dabbawalas will continue to stay in business for ever. For all I know unless a swift, corrective, evolutionary action its death knell for them. Here is why I feel so. Then if everything goes against the Dabbawalas is there a way out, to survive. I think yes. Let’s see what are the options. Increase the range of services from mere Dabbas to offices and schools to other areas like money-to-home, dabbas-to-hospitals, insurance, etc. So I feel unless the Dabbawalas act and act fast, smart I can hear their coffin being made. What do you say? I get your point from the post, but let us consider the same old section of people who are still the target for these ppl (ppl from GOVT Offices). There are many news bees joining into the GOVT Offices too esp in Mumbai area and so, there are more potential customers to the Dabba walas too. Not only that, These guys do it to such perfection that there was never a delay or a misplacement of the boxes. I second you on the expansion these guys have to make, but they still are in business for a long time, as long as there is this MIDDLE CLASS (this is a large % of ppl in Mumbai, so it would continue for long) sector in India. See this blog for some more stats on the Dabba walas.. I agree to t5he reasons you have put forward that will end the business of Dabbawals.But taking into consideration their USP i.e "the home cook food",is not easy to defeat. its easy to work upon and say about the food provided by multinationals but after a period of time one cannnot go for that food. Thanks Harsha, Swamynathan, Neha for the comments. Unless you reinvent you will be replaced. The Six sigma is endorsed by Forbes magazine..."one mistake for every eight million deliveries constitutes Six Sigma quality standards".......not only that they are ISO certified group also. Its a 125 year old group which makes new entrants to think thrice before they enter the market...this doesn't mean that they donot have competetion at all....major fast food chains etc are there competetiors...but "usp" is undefeated. Even the low monthly charge gives them a cost advantage position. No one else can offer such services at that nominal cost. I am not sure but guess its around 300 INR. I don't see any viable threat/substitute/alternate for home cooked food. Only embracing technology will not give you advantage and actually speaking they have shown us a awesome alternative to any technology like RFID or barcode which are very expensive. 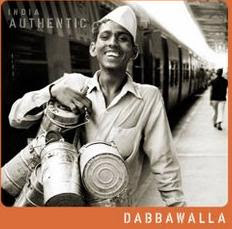 As of now as per your suggestion I donot think we need to introduce or explain who is dabbawala to india atleast mumbai..... i mean the name of the group is a self reference. Thanks for the comment. Yes I checked and I know that Forbes did it. I agree with you about the Dabbawalas being the best. I was giving the alternate extreme look at the issue. Its an effort to see the same case in fresh light. Is there a threat to them? If yes how do we fight it out? Their USP is undefeated. As they say, "As long as there is love and affection in this world Dabbawalas continue to rule." Their name has become synonymous with Quality in India. Yes hats off to them! The price range is from Rs. 150 - Rs. 300 depending on the type of box, distance and so on.